There was a poor man sitting in a restaurant and a rich man came in. The poor man said that he could sing any song in the world if he was given a name. The rich man bet all the money in his wallet that he couldn't sing a song with Susan in it. The poor man went away rich and the rich man went away poor. What song did the poor man sing? 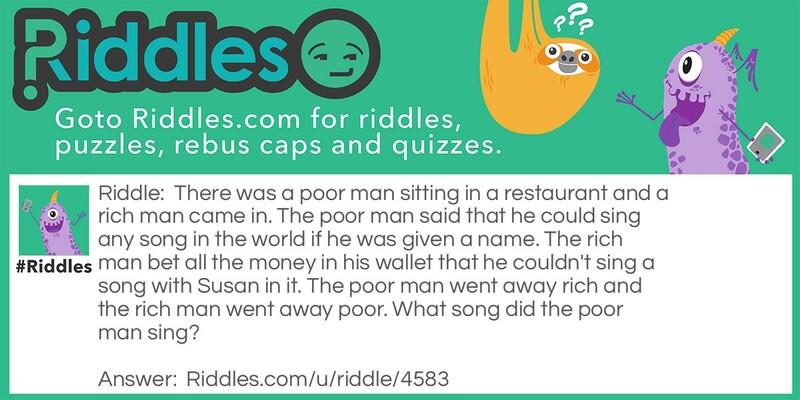 Sing-song Riddle Meme with riddle and answer page link.